You save -1% from the $98 regular price! 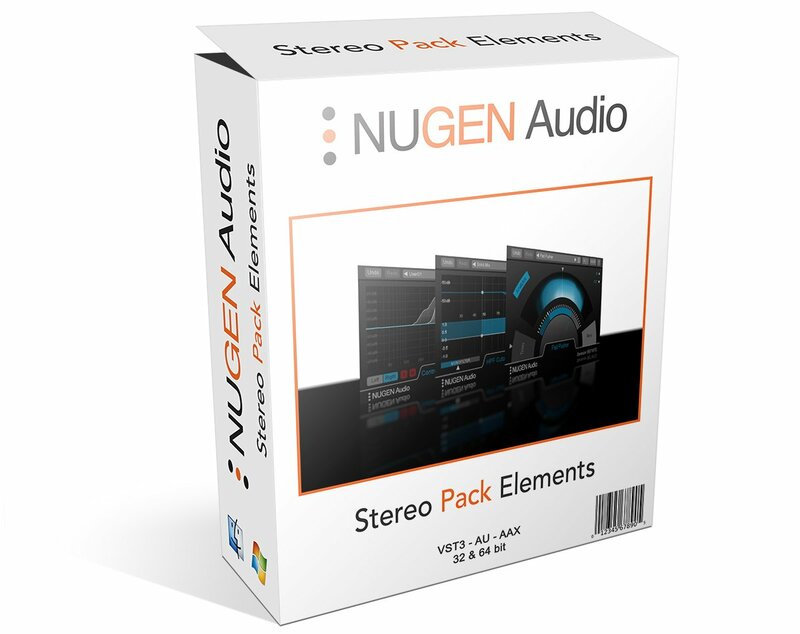 Stereo Pack Elements is a bundle of three new products, Stereoplacer Elements, Monofilter Elements, and Stereoizer Elements that are derived from the highly respected Stereoplacer, Monofilter, and Stereoizer plug-ins. It satisfies a demand from the audio community for the same high quality products with a simplified interface, toolset and lower price point. Professional Mixers/Mastering Engineers as well as the Broadcasters know and trust the Nugen Product line for their most critical work that we hear every day. You get the essential controls that will let you fine tune and expand your mixes to the width and scope that you thought you would have pay someone else to achieve for you. Stereoplacer Elements is a pan control for the 21st century. Choose the frequencies you want to fix and move them anywhere, leaving the rest of the stereo image intact. Make improvements in any area of the sound stage without causing problems elsewhere. It gives you precise control you just can’t get within a traditional mix setup. Monofilter Elements grabs hold of your bass and secures it solidly within your mix. Intuitive controls allow you to quickly anchor the power, whilst retaining the essential character and perceived spatial characteristics. Developed for and tested by professional audio engineers, Stereo Pack Elements adds natural sounding width and depth to any audio recording, mono or stereo, leaving the inherent character of the original source intact. Quite simply Stereo Pack Elements will make your audio more coherent, highly polished and spatially balanced without adding artificial reverberation, chorusing or delay.